AKDN dHRC believes that everyone should have access to safe, high-quality, low-cost and equitable health care services. AKDN dHRC's digital health activities in low- and middle-income countries such as Afghanistan, Kyrgyz Republic, Pakistan and Tajikistan in Asia and Tanzania in Africa make health care easily accessible to communities with reduced access, build the professional capacity of health care providers and strengthen health systems. The Centre works closely with its clients to understand and identify their digital health needs and provide customised, measurable and scalable digital health solutions that help them achieve their health care objectives. The Centre supports its clients at various stages of a digital health project or programme. Conduct digital health assessments to help clients understand the meaning and value of digital health, health system gaps and technical and programmatic requirements of a successful digital health programme. Develop proposals for donor agencies, prepares courses on digital health and disseminates information to stakeholders on emerging trends and developments in digital health. Develop country- and area-specific digital health strategies that include short- to long-term goals and work plans to achieve clients’ digital health objectives. Digital Health Business Architecture: to develop and maintain business capabilities of the enterprise in line with the corporate strategy and contributing to the strategy and plans. Digital Health Technology Architecture: to describe the technology requirement and provide the needed technology. Digital Health Functional Architecture: to identify functions, interactions, business processes and IT needs of the enterprise. AKDN dHRC collaborates with educational and research institutes to develop innovative, customer-focused digital health products and applications. The Centre also helps customers develop business models and optimise customer experience. Provide strategic advice on digital health applications to facilitate the product/vendor selection process for any digital health applications and solutions required by clients. The Centre provides technical troubleshooting on digital health applications. AKDN dHRC trains health care personnel to enable them to adopt and apply digital health applications and carry-out digital health activities effectively. 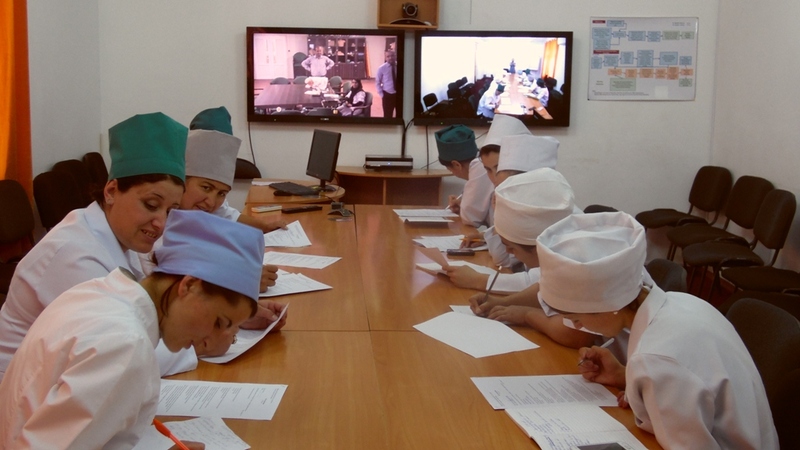 AKDN dHRC has developed an online certificate course in digital health. The goal is to increase digital health awareness among health care professionals, build their capacity, and enable them to effectively implement digital health solutions and activities. Prepare logic frameworks, based on programme-specific needs, to assist clients with monitoring and evaluating their digital health programmes. Offer trainings on developing, applying and measuring the digital health logic framework.